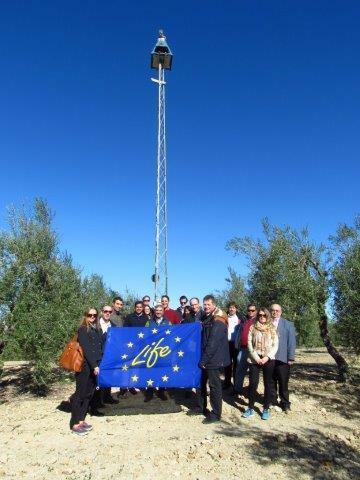 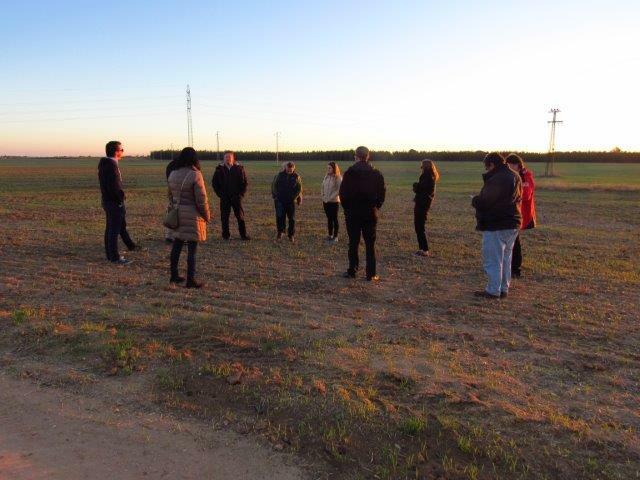 On November 14th and 15th, the project partners met at the Cuarterola estate, owned by Ángel Camacho Group to evaluate the development of the project. 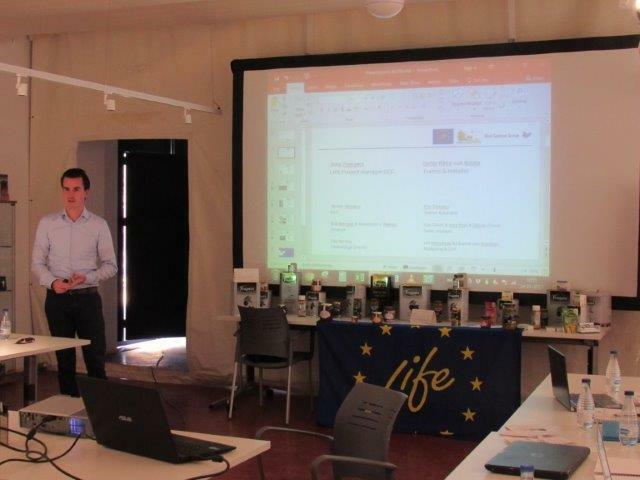 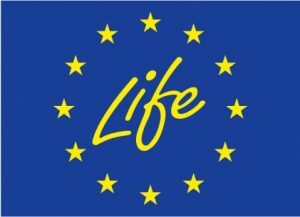 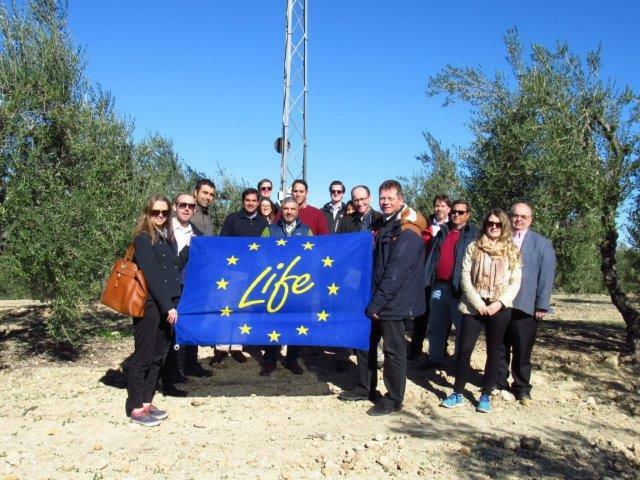 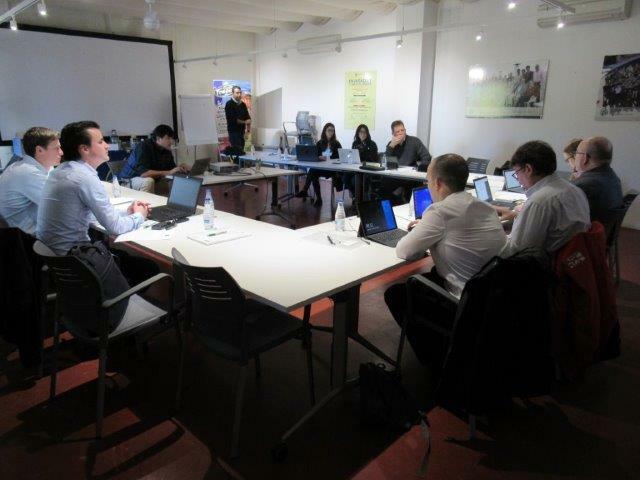 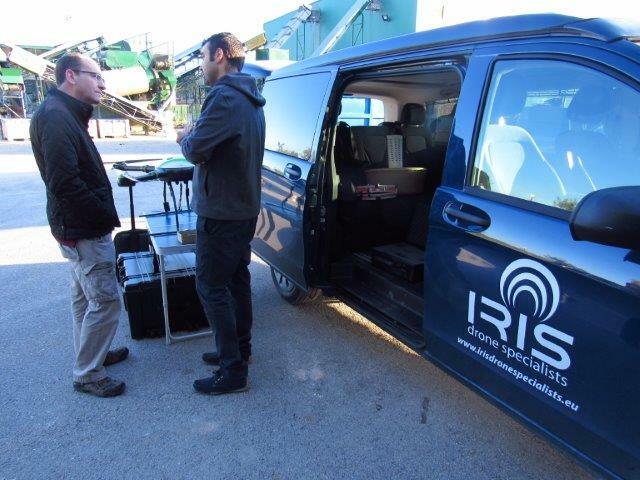 During these days, the status of the different LIFE actions was examined, specially the preparation and implementation actions, in the presence of the EU monitoring officer, Neil Wilkie. 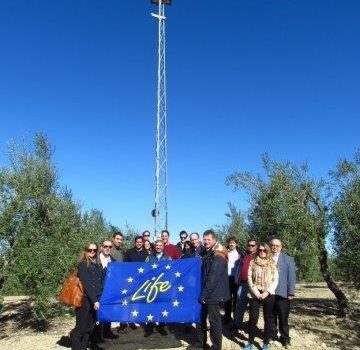 The obstacles faced by the project were also addressed and the financial details of Laser Fence were discussed. 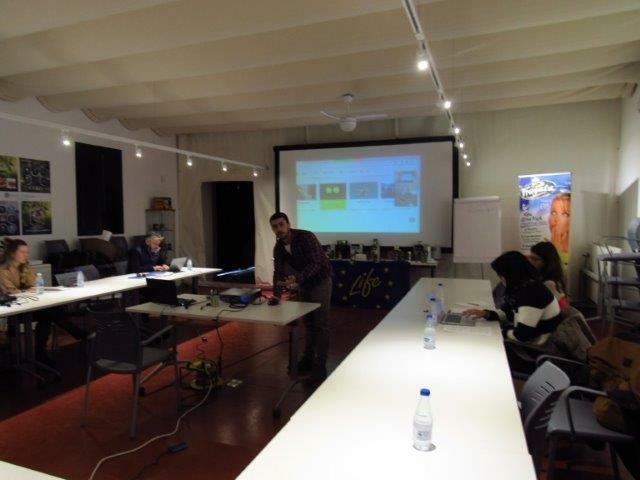 Project members unable to attend in person also participated in the meeting via Skype. 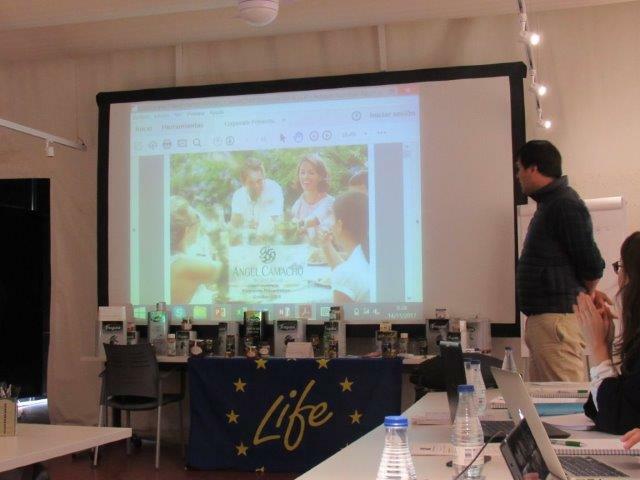 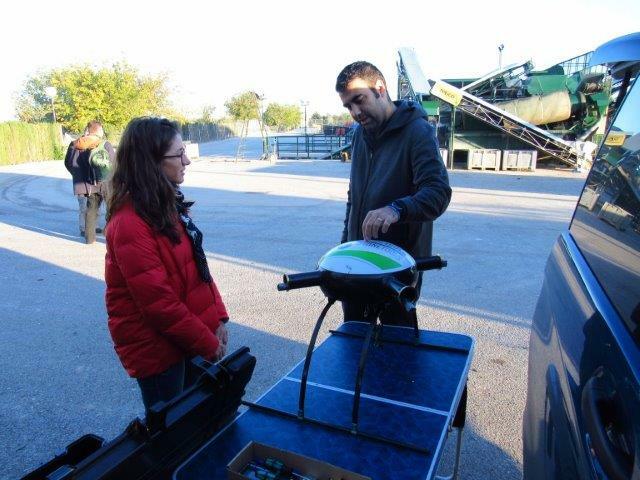 Finally, several visits to the Ángel Camacho Group were conducted to see the lasers which are installed there, and the products offered by the Group were tasted. 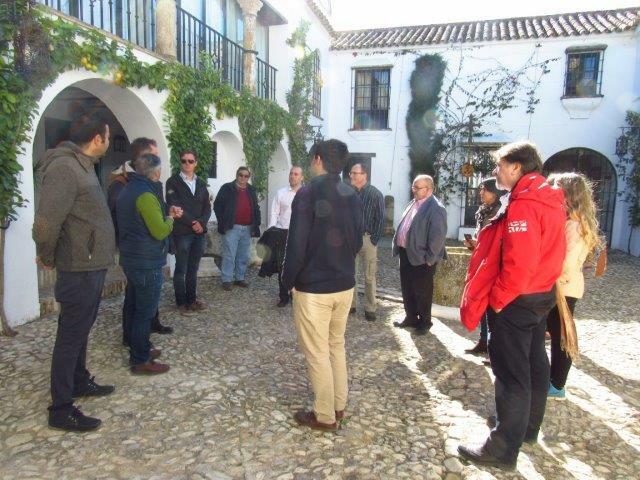 The partners thank the Ángel Camacho Group for the excellent organization of the event.